Ohio native Richard Lynch has won his fair share of industry awards during his 40-plus years in country music. Lynch is a member of the Ohio Country Music Hall of Fame and the Independent Country Music Hall of Fame. He is also a Billboard Magazine Emerging Artist and Top 25 iTunes sales charting artist. His traditional country songs have earned Number One airplay status both in the US and abroad. 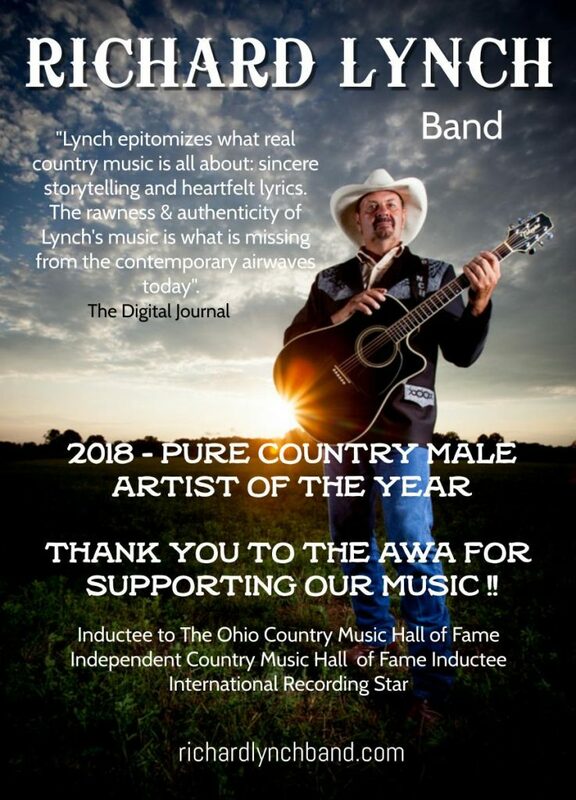 ABOUT RICHARD LYNCH: Richard Lynch is a Waynesville, Ohio-based country music artist, who has compiled a long list of country hits and chart toppers in the world of traditional country music. His single, “A Better Place” topped the New Music Weekly AM/FM country chart, the IndieWorld Country Record Report, and spent an incredible 32 weeks atop the Roots Music Report True Country chart. His next 4 singles also topped the country airplay charts, including a duet with Grammy Award Winner, Rhonda Vincent. Richard’s single, “Country Music Isn’t Country Anymore” went Top 25 on the iTunes Canada sales chart. His last single, “Pray on the Radio” received Christian radio airplay and charting, also reaching the US iTunes Single Sales chart. Lynch has appeared on WSM Radio Nashville, RFD TV, Fox TV, and countless other media outlets. He is also the host of “Traditionally Lynch,” airing on TV and radio, and he’s the founder of the Love Tattoo Foundation for veterans.